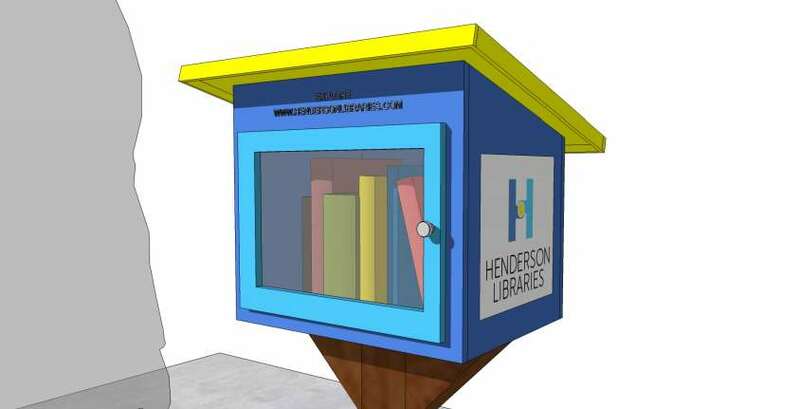 The Henderson Chamber of Commerce’s Leadership Henderson Class of 2016, together with the Henderson Libraries Foundation and Inspirada, will host a ribbon cutting for Free Little Libraries, a “take a book, return a book” free book exchange program, at 9 a.m. tomorrow, July 19, at the Inspirada Community Center – Jolly Beans Café, 2000 Via Firenze. The Leadership Henderson class teamed up with the Henderson Libraries Foundation to help design and construct three Free Little Libraries for three of the Inspirada community parks within the Aventura, Potenza and Solista communities. Every year, each Leadership Henderson class chooses a community project for which to raise money; last year, the class chose two, this being one of them. The organization partnered with the new Inspirada community in Henderson to make the Little Free Libraries available to the community. The goal of the project was to use Free Little Libraries as a tool to expand outreach of libraries into the community. The little libraries were designed by class members and architects David Almany and Chris Lujan. Additionally, the Class of 2016 developed a plan, which includes creating future Free Little Libraries throughout Henderson, hosting book drives to fill the little libraries and coordination of corporate sponsors to keep the program going.